Denver’s 10th Circuit Court of Appeals set off a firestorm on Aug. 18 in deciding that the 14 crosses used to memorialize fallen Utah Highway Patrolmen were in violation of the Establishment clause of the Constitution and therefore should come down. The attorney leading the challenge at the behest of American Atheists Inc. was Brian Barnard, Salt Lake City’s relentless First Amendment watchdog. Why are you in league with atheists trying to tear down the symbol of Christianity? The Roman cross is a revered and poignant symbol of Christianity that should not be displayed in a prominent and exclusive manner on government property. It belongs on private property. If the current 10th Circuit decision stands, the Utah Highway Patrol Association crosses can be moved to private land and the official UHP logo can be removed. The memorials will not be torn down; they will be moved. Based on the widespread hue and cry at the 10th Circuit Court decision, it appears the symbol of the cross remains sacred to many people. What does this say about Judge Sam's original assertion that crosses have lost their religious value, and had become "like Christmas trees"? The appeals court rejected the state's blasphemous claim that the cross had lost most religious meaning. Questions of religion are not based on majority vote. That most Utahns may not use the cross as their religious symbol does not mean that it is no longer a poignant religious icon. The Star of David is not found in Mormon chapels, but that does not mean it is now a secular symbol. Beyond Utah, people are citing the lack of reverence for the cross as proof that Mormons are not Christians. Some have suggested that rather than removing the monuments, that UHPA should alter them so that the cross is incorporated into a new design. Would this take care of the plaintiff's concerns? These Troopers should be honored. They can be honored in such a way that does not emphasize religion or one religion. A new nonreligious design should be found. All Utahns, religious and nonreligious, want to and should honor the troopers. There is a beautiful memorial on the state Capitol grounds to fallen law enforcement officers that is nonreligious; that is a good sample. 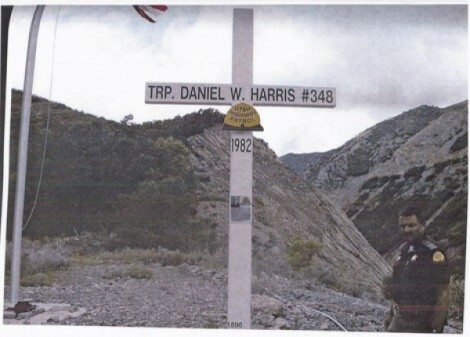 Since highway signage is carefully regulated—usually designed for safe driving or to provide directions for travelers—how did the UHP get approval to erect the memorials to begin with? Small homemade roadside crosses erected by private citizens are prohibited and are ordered to be immediately removed by the Utah Department of Transportation. These large UHPA crosses are given special permits to be erected on the state right of way. John Q. Public is oblivious to church/state issues as long as and especially when he is comfortable with the religion at issue, i.e., "I'm in favor of public prayer, as long as the prayer is to my God. I sure as hell don't want anybody praying to Satan before a city council meeting." The First Amendment protects everyone's rights by keeping church and state separate. Government must stay out of the business of religion. That ultimately protects all religions and all who practice religion or no religion. Government property must not be used to endorse one religion. If these crosses are allowed on government land, what's next?